The original pipe organ at Frenchay Church was installed in the 1890s and rebuilt in 1958. 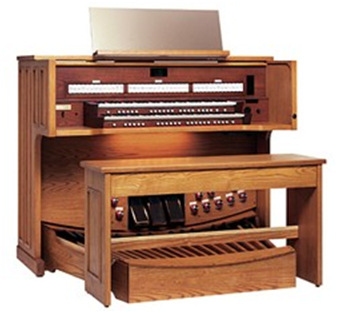 This instrument was replaced in 2013 by a new “combination organ” (pipes and digital) inside the existing organ case, using much of the old pipework with a new detached console. The refurbished organ was rededicated on Sunday 8th Sept 2013.